How does creatine work and what does it do? 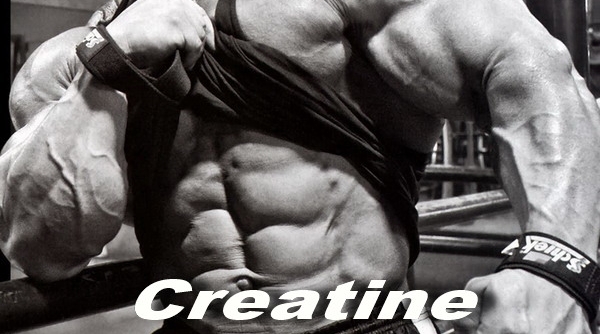 Creatine acts as a form of extra energy in your body. Quick (and slightly simplistic) biology lesson: the basic currency of energy in your body is adenosine triphosphate (ATP). When your body uses it, it becomes adenosine diphosphate (ADP). Basically, it loses a phosphate group. In your cells, creatine is stored as creatine phosphate. Normally your body uses glucose (sugar) as quick energy, but there is a slight delay before it can convert the glucose so that it’s usable by your cells. So when your body needs energy quickly (as in power for the first few reps), the creatine “donates” its phosphate to the ADP, which becomes ATP, and voila, your cells have a little bit of extra energy. Beyond just providing skeletal cells with extra energy, creatine supplementation also appears to be neuroprotective, antidepressant (though only in females so far), and a cognitive enhancer (in vegetarians). Furthermore, due to cell-swelling (that extra water your body retains when you take creatine), it may help preserve cellular integrity, which could then promote cellular survival. Basically it is definitely extra energy for your cells, and it may have a host of other good benefits. Is it safe? Are there any negative side-effects? Let’s be very clear - creatine is basically a food supplement. It’s found in meat. Even the International Olympic Committee (IOC) has given it the all clear. Creatine is safe. There is a myth out there that says creatine is bad for your kidneys. This is because testing kidney health involves testing body levels of creatine. When people loading creatine came in to get a test, technicians would see the high levels of creatinine and incorrectly think the kidneys were failing. Actual tests on kidney function found that kidney function is not impaired. There is even a case study of an individual with only one kidney (which was also damaged) being fine after supplementing creatine. The one possible side effect you may experience is stomach cramps if you take too much at once (10 grams or more) and do not drink enough water. Some people get slightly nauseous when they first start supplementing. If you don’t lift weights, 2-3 grams per day is the way to go. If you do lift weights and/or are involved in athletics, then 5 grams per day is a good number to aim for. A higher intake such as 10 grams may be beneficial if you’re an athlete - try it out and see if it works for you. Do I need to load it? Not at all. Creatine works in your body by saturating your cells with them - loading just accelerates the saturation process. It’s always simplest to just take 5 grams a day and not worry about loading, cycling or anything similar. Not at all. Cycling is used when long-term supplementation of a compound will cause your body to adapt in such a way that going off the supplement would cause withdrawal symptoms, so you would only ‘cycle’ it for a certain time to prevent this adverse adaptation. Creatine technically can suppress your body’s own synthesis of creatine, but both the suppression and the restoration occur very rapidly. By the time your body realizes that it needs to start up its own synthesis again, you may have gone through maybe a quarter of the creatine stored up in your body from supplementation. Besides, many health benefits are (counterintuitively) traced back to this suppression of creatine synthesis. Reducing synthesis of creatine frees up a molecule known as S-adenosyl methionine (SAMe) to do other things in the body which indirectly aids health. It should also be added that it can take up to a month for the extra creatine to clear your system. As most “cycling protocols” have you off for 2 weeks, it would be pointless! Does creatine benefit your brain? Creatine has been shown to increase focus and memory formation when supplemented by vegetarians, but these benefits do not extend to omnivores under normal conditions. Does it interact negatively with caffeine? The studies assessing creatine and its interactions with caffeine are all over the map, with some suggesting a synergistic relationship and another suggesting that caffeine blocks the benefits of creatine. This lack of consistency is met with a lack of reasoning as to why one would block the other (no hypotheses are formed), so academically this is still largely uncertain. Practically speaking, both caffeine and creatine boost strength. You can test if they negate one another in your body taking creatine for a while, before supplementing a dose of caffeine. If you suddenly got weaker, the two supplements are interacting negatively. Will it affect my fat loss? Not at all. Long term studies have found that creatine has no impact in your body in regards to actually burning fat for fat loss. It should be noted that creatine does cause your body to retain a bit of extra water. Some people believe it makes them look a bit bloated, whereas others think it makes their muscles look bigger. Whenever is most convenient. Breakfast, dinner, pre-workout, post-workout, it doesn’t matter. Creatine works through saturation, not through timing. We tend to recommend taking it with a meal just because it’s usually convenient and can decrease the chance of upsetting your stomach. There is some evidence that suggests creatine can raise your dihydrotestosterone (DHT) levels. DHT is linked to an increase in hair loss characterized by a receding hairline (not the hair loss that starts at the back of the head). The most sensible conclusion is that if you are balding, taking creatine may slightly accelerate hair loss. It is highly unlikely that creatine itself will cause hair loss. Do I need to take it with carbs/spike my insulin? There was some evidence that suggested taking creatine with carbs (which would spike your insulin) meant your body faster accumulated creatine a bit faster, but this does not hold up when your cells are saturated and it seems to only be a good combination the first day of a loading protocol. Any creatine products on that market that are vegetarian/vegan? While creatine was originally discovered in meat, it has since been synthesized in the lab via plant material, and it’s much cheaper to produce that way. It takes up to a month for the excess creatine to clear your body. Once creatine has cleared your system, there will be a slight loss in water, but no loss of muscle. Any muscle added while on creatine will remain (provided of course that you continue to at least maintain that mass by lifting weights). I want to know more about how creatine works. Then check out our heavily researched page on creatine. With over 700 citations, you won’t find any page that goes more in-depth than we do. Examine.com has their Stacks Guides on sales for the week of June 24-27. Find out which combo of supplements is the right choice for you and stop wasting your money on supplements that don’t work. 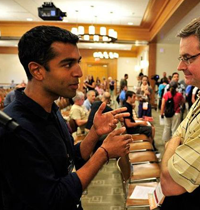 Kamal Patel is the director of Examine.com. He has an MBA and an MPH (Master of Public Health) from Johns Hopkins University, and was pursuing his PhD in nutrition when he opted to go on hiatus to join Examine.com. He is dedicated in making scientific research in nutrition and supplementation accessible to everyone.